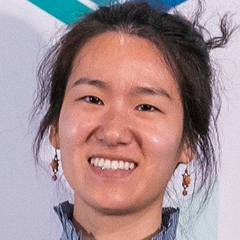 During her PhD at Penn, Jina made significant advances in the engineering of microfluidics that could be used to detect lethal diseases at the earliest stages of development and which do not have conventional biomarkers. Her research demonstrated promising results in diagnosing both early-stage pancreatic cancer and different injury states of traumatic brain injury. As a Schmidt Science Fellow, she has moved to Boston to work at Massachusetts General Hospital under Prof Ralph Weissleder of MGH and Harvard University, to explore how her diagnostic technology can be most effectively deployed in the clinic. Jina’s science could save lives around the world through the ability to diagnose heterogeneous and complex disease (e.g. cancer) using blood-based biomarkers, improving therapeutic efficacy and patient response. Jina is also using her placement at Harvard to delve deeper into nanofabrication, imaging, and droplet microfluidics and to expand her knowledge of immunotherapy.